Download and complete the Five Element Questionnaire. ​Bring it with you to your appointment. Classical Five Element Acupuncture is a specialized system of acupuncture focusing on the whole person, with attention to balancing energy at all levels of body, mind and spirit. CFEA was first introduced and taught in the west by J.R. Worsley from England. Dr. Worsley believed in the body’s natural ability toward healing and wholeness, using acupuncture to remove blocks to this capacity for healing. CFEA sees symptoms, whether of the body or mind, as a warning sign to alert us of an underlying imbalance of the restorative flow of Qi. While some medicine can alleviate symptoms, it may not address the underlying cause. CFEA strengthens the person to heal disease from the inside out, bringing feelings of vitality, strength, clarity and wellbeing. In CFEA, the laws of the universe are based on observation of Nature, particularly the changes of the season. 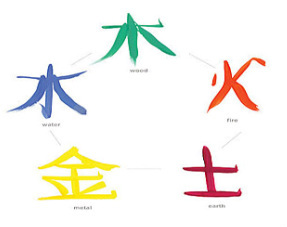 By observing nature, the Chinese discerned five basic movements or phases, Wood, Fire, Earth, Metal, and Water, which are linked respectively to the seasons of Spring, Summer, Late Summer, Fall and Winter. Living in harmony with these five phases, or with nature, then, was the way to health. The human being is viewed as a microcosm of nature and thus progresses through cyclic seasons or transformations. When living in harmony with the seasons and nature, health and wellbeing is acheivable.